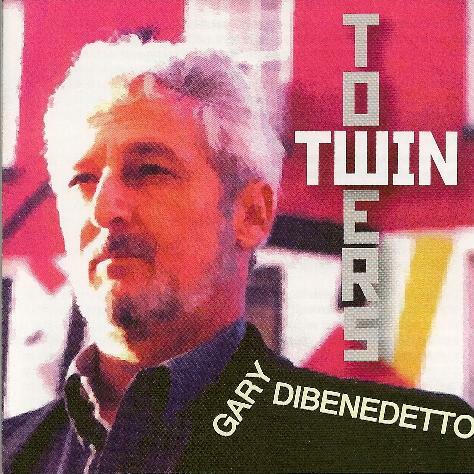 Gary DiBenedetto is an electro-acoustic composer from New York and Twin Towers is his effort to present a compilation of radical and controversial sonic collages designed to imply political and social messages. Fortunately he made the effort to explain his liberal political messages in the CD booklet because they are certainly obscure in these nine academic, sterile, and amorphous compositions. The opening track, “Knock and the Door Shall Be Opened,” does not have a message and calls to mind Pierre Henri’s “Variations on a Door and a Sigh.” The second piece, “Toy Store,” is composed of recycled sound files and it is very difficult to listen to. It reminds me of over winding a toy and waiting for the internal tension to rip it apart. The next three tracks constitute a three-movement composition about Nicaragua, El Salvador, the Catholic Church, peasants, and the Sandinista. But what you really hear are dissonant sounds, percussion, electronics, and clanging metal that is without form or reason. There are two tracks composed of sound bites so heavily processed that they are unrecognizable with an occasional word surfacing for a moment. Even the title track that closes the CD does not convey much of a message. It is obviously about 9/11, but Meena Alexander’s reading of her poetry is mixed so low it is a struggle to understand and therefore the sounds that follow seem meaningless. This is difficult music to get into, and outside of the university setting these compositions have an extremely limited appeal. SUBMITTED FOR ISSUE 39, PUBLISHED?? ?